Finally tickets are on sale for one of the biggest event in UNN (MAYOURKUN university tour) which begins with Nsukka campus in 12th of may, 2017. Preparations are in earnest to make this campus tour kickoff successful. so also Dremo, DJ Baby boi plus lots of artists like Funky, Lynix Diamond, YOLO, Pelaiyke, Artistegaga, Ftarget, Bionic and many more.. 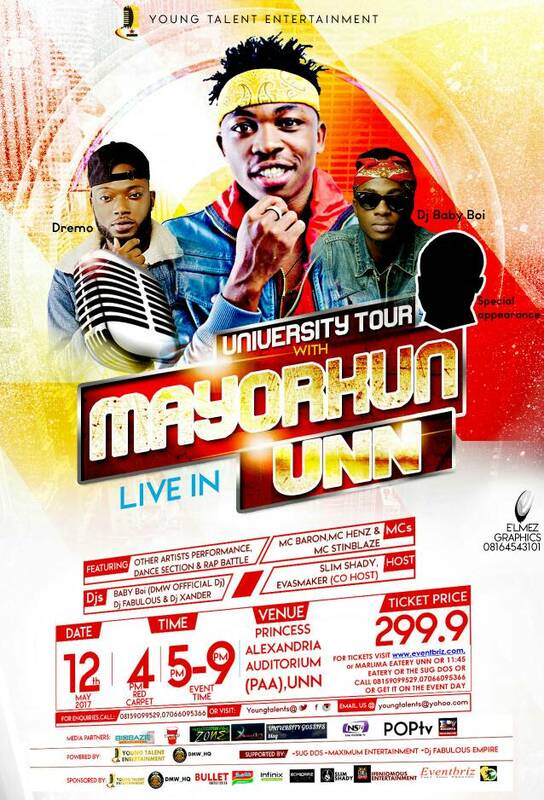 Ticket outlets remains 11:45 (entry) and MARLIMA...all in UNN.